For an affordable stay in Hong Kong for the whole family, look no further than the Cosmo Hotel. Their “Family Package” costs HKD1,100 (USD142) per night for a spacious Executive Room, breakfast buffet, internet, kid-friendly DVDs, children’s amenities, 2 hours of baby-sitting, and late check-out. A 10% service charge is additional. This promotion is available until September 15, 2012. 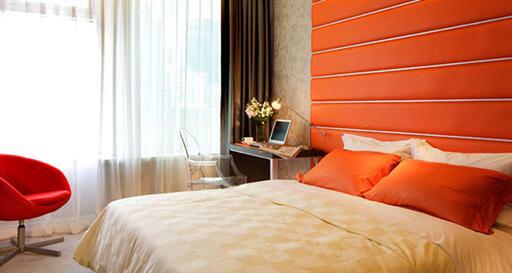 The “Family Package” can be upgraded to a Triple Studio Room for HKD1,400 (USD181). The package also includes local calls, a shuttle service to nearby attractions, complimentary use of baby cot, and baby bathroom amenities. Late check-out until 6pm will be offered, subject to availability. 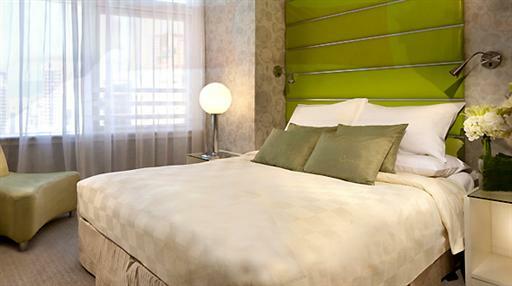 The Cosmo is a modern boutique hotel located in the Causeway Bay area of Hong Kong. The hotel offers 142 rooms spread across its 23 floors, all with bold color schemes and modern amenities like LCD TV, internet access, and mini-bar. Hotel facilities include a business center, gymnasium, tour desk, and free shuttle service to top attractions around Hong Kong. 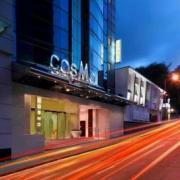 Visit http://www.cosmohotel.com.hk/ for more information about the Cosmo Hotel or to make an online reservation. The hotel can be contacted by calling (852) 3552 8388 or emailing generalmanager@cosmohotel.com.hk.